Multiple Sclerosis (MS) is a condition that affects over 100,000 people in the UK. Symptoms can include loss of mobility, fatigue, tremor, bladder and bowel problems, sensory problems, difficulty walking and visual impairment. MS Research aims to fund high-quality research and to seek better ways of treating MS.
•further our understanding of MS and its impact. With effective research, we can solve problems, deliver better treatments or contribute to finding the information we need for a cure. 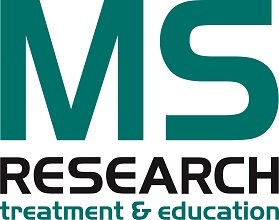 MS Research Treatment & Education is funded entirely by donations and every penny raised goes towards “looking forward to seeing the back of MS”. Giveacar and its donors are proud supporters of MS Research Treatment and Education as they work hard to support people with MS. If you’re planning to scrap or sell your car, give a car instead to help MS research Treatment and Education in their mission to battle MS. Do a good deed and help them continue the work they do when you donate your car to charity.